I just stumbled upon the coolest Amazon Store: Horrornaments! 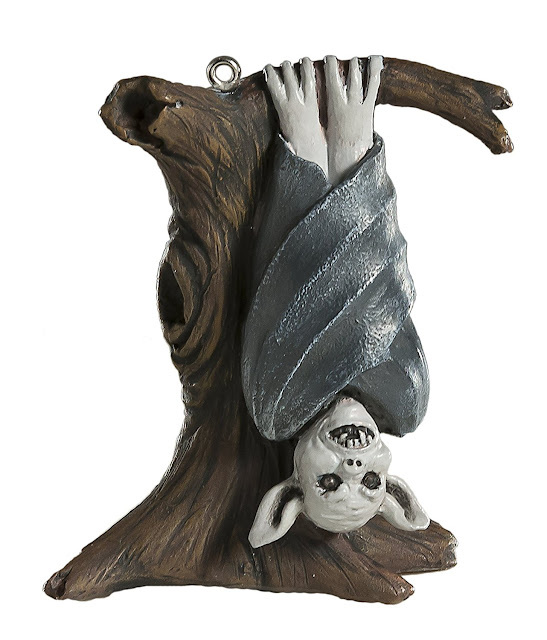 They sell ornaments for your Halloween tree (or what the heck, why not put them on your Christmas tree too?) 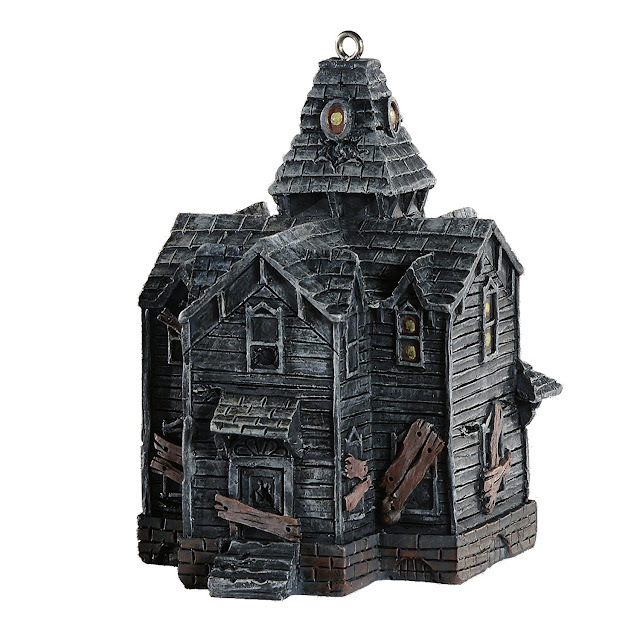 such as this Haunted House ornament which I'm sorely tempted to buy! These horror ornaments were designed by the owner of "The Haunt" Halloween haunted house in Michigan. 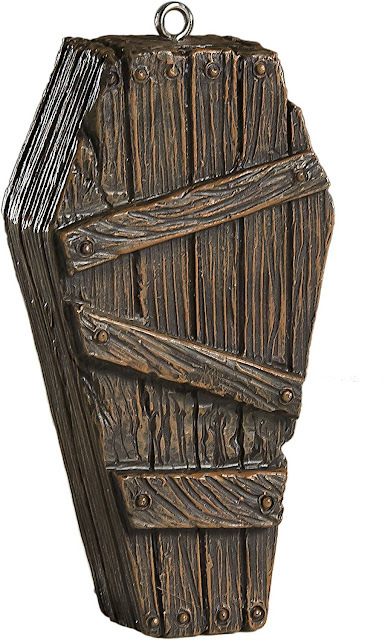 Probably this coffin ornament should be hanging on the tree pretty close to the haunted house one! This vampire bat has a truly malicious look on his face! 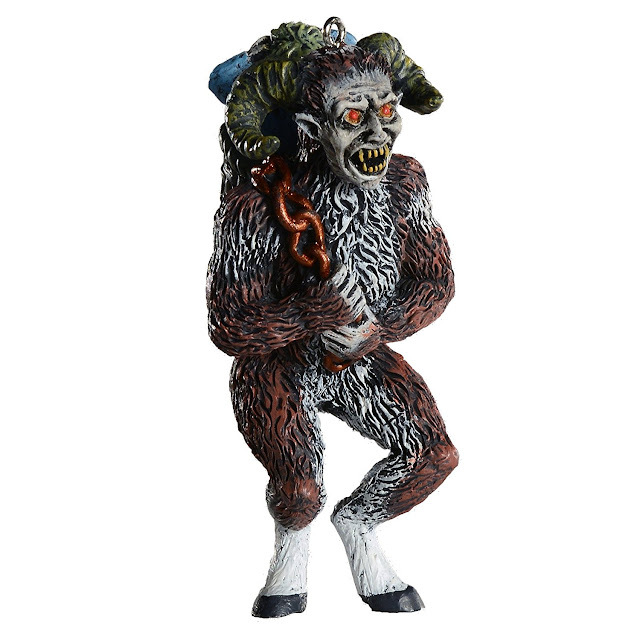 Of course they made a Krampus ornament. He's getting so popular lately! 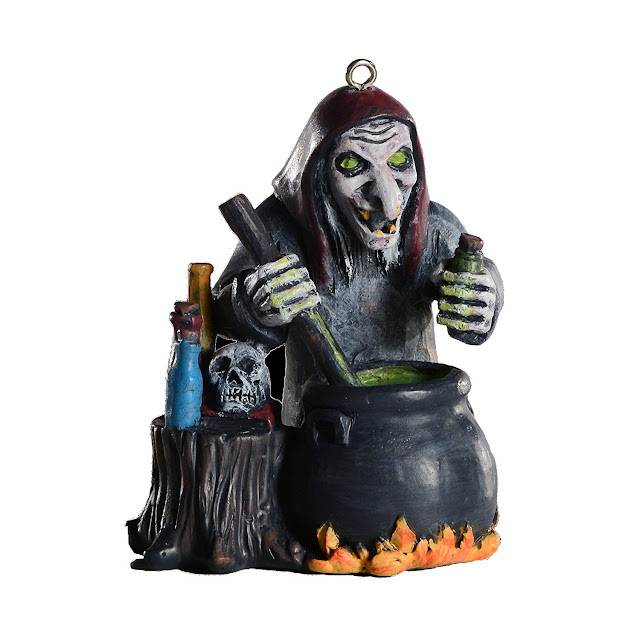 For some reason the green eyes on this Wicked Witch ornament really disturb me! Horrornaments also makes clown ornaments, skulls, cats, werewolves, jack o' lanterns, a mummy, a raven, a vulture, and other scary figures. If you prefer eBay to Amazon, you can shop for Horrornaments on eBay instead.